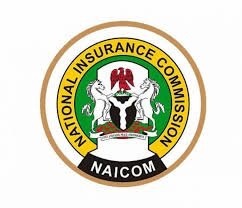 The Federal High Court sitting in Abuja has gave an order restraining the National Insurance Commission (NAICOM) from the purported suspension of Guinea Insurance Plc from writing new businesses. Meanwhile, on the reinsurance treaty, the firm posited that, “there is available and incontrovertible evidence showing that Guinea Insurance Plc has a treaty backup for 2019 packaged by its Lead Reinsurance Broker – Glanvill Enthoven Reinsurance Brokers Limited. On 17th December 2018, Glanvill Enthoven Reinsurance Brokers Limited sent the Guinea Insurance Plc 2019 Reinsurance Treaty Cover Notes to the Company; which documents have been duly delivered alongside all contracting signed slips as evident in the acknowledgement letter stamped as “received” by NAICOM on 18th December 2018. “The Board and Management of Guinea Insurance Plc is currently engaging NAICOM with a view to resolving all attendant issues to the said publication within the shortest possible time. We are an upwardly mobile company, peopled with skilled professionals, our strength is made manifest in our passion for high standards; the single-minded determination to emerge a world class enterprise and our conscious obligation to meet regulatory deadlines,” it said.